During my year of unemployment, beside finishing The Call, I also took a Master Gardener‘s Class. With a four inch thick binder divided into 18 sections as a textbook, from botany to plant diseases, varieties of grass to ornamental shrubs to house plants, I learned a lot even though I had gardened for years. But I once heard we learn best what we relearn, what we already know. That was true about the most important lesson from the class: you don’t have to know everything, you just have to know how to find out. There are probably as many different varieties of query letters as there are types of writing. My novel, The Call, is epic fantasy fiction, a combination of historical fiction with fantasy elements (a la Naomi Novik‘s Temeraire Series if you’re a fan of fantasy). So while I will post my letter if I sell my book, if you write true crime, mysteries, creative non-fiction, memoire, or professional non-fiction, your letter might be better if it were very different from mine. 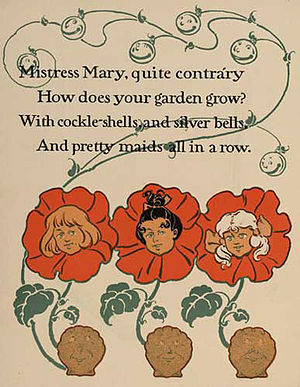 In other words, Mary, every garden is unique. Plan, plant, fertilize, cultivate your garden to perfection…then select your best blooms and create just the right bouquet for each agent you select. You know you can do the best query letter, you can relearn it or you can learn it…or maybe we can become Masters of the Query together. This entry was posted in Writings by Wordsmiths and Others and tagged Cooperative extension service, Fiction, Garden, Growing your writing, Master Gardener, Master gardener program, Naomi Novik, Nursery Rhymes, Query letter, Silver Bells. Bookmark the permalink. I didn’t know that Mike was working on a book. There are great Children’s Writers groups that he could look into that might be helpful to him. I actually have a Children’s story concept in mind that I tried to explore getting published, but as it was a therapeutic concept I tried an editor who publishes those kind of stories and they weren’t accepting anything new. Tell Mike I wished him good luck.